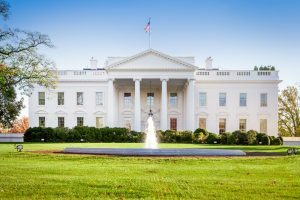 Reminder from the White House for DC Landlords: Register Your Property! Recently, it came to light that the Kushner Cos. allegedly filed false documents with New York City. The documents stated that rental properties owned by Kushner Cos. were not occupied by tenants subject to City rent regulation, when in fact the properties in question contained hundreds of tenants subject to rent regulation. These regulations require landlords filing for building permits to indicate how many tenants subject to rent regulation reside in their properties at the time that the landlord applies. Tenants subject to rent regulation are afforded extra protection. As a result of Kushner Cos. allegedly false filings, many tenants were apparently forced out of their rental properties while many others were forced to live through construction projects that might not have been permitted and which appear to have significantly increased the value of the Kushner Cos. properties. The City Council is looking into these Kushner Cos. filings. The District of Columbia does not have any similar requirement for building permits. However, the publicity surrounding these filings by the Kushner Cos. should serve as a powerful reminder of what is required for DC landlords and the consequences for failure to comply. In DC, each rental property must be registered with the Rental Accommodations Division, a branch of the Department of Housing and Community Development. When registering, a landlord must indicate whether the rental property is subject to the Rental Housing Act (i.e., rent-controlled) or exempt from the Rental Housing Act. Much like in New York City, the Rental Housing Act in DC provides tenants in rent-controlled properties with many protections, including the right to receive only limited rent increases annually. At the time of registration, the Rental Accommodations Division will provide each landlord with a registration/exemption number. Landlords must disclose a rental property’s status at the time of an application for tenancy. Also, each lease in DC must inform a tenant if the rental property is exempt from, or subject to, the Rental Housing Act and provide the landlord’s registration/exemption number. If a lease fails to state that a landlord is exempt or fails to provide the exemption number, then it is—under the law—subject to the Rental Housing Act. This means, of course, that the amount and frequency of the landlord’s rent increases are limited and that all notices of rent increase must be filed with the Rental Accommodations Division. Landlords who are exempt are not required to limit increases or file their notices of rent increase. The registration/exemption number also becomes important for landlords should they have a tenant breach the lease. In DC, a landlord must serve on a tenant a 30-day notice to correct any breach of lease. That notice must contain the landlord’s registration/exemption number and must also be filed with the Rental Accommodations Division. If a tenant fails to correct the breach after the 30-day period, a landlord may file a case with the Landlord and Tenant Branch of the DC Superior Court. However, if a landlord fails to include the registration/exemption number on the 30-day notice or fails to file the 30-day notice with the Rental Accommodations Division, then the landlord cannot file its case in court. It is thus important for all DC landlords to be aware of the requirement to register with the Rental Accommodations Division and to provide tenants with information about the registration. Registration with the Rental Accommodations Division is not difficult, and consequences could be severe, including the rollback of illegally implemented rent increases and the inability to take advantage of the judicial process when a tenant is breaching the lease. Billy Cannon is a principal in the Landlord Representation practice Group. Mr. Cannon represents property owners and property management companies in the District of Columbia and Maryland in state and federal court litigation, mediations, and administrative agency hearings and also assists with leasing, transactions and Fair Housing Act compliance. Mr. Cannon is certified in Low-Income Housing Tax Credit Compliance (LIHTC) and represents many LIHTC properties and other affordable housing providers. 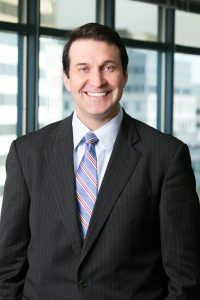 Additionally, Mr. Cannon represents sellers and purchasers in transactions, with a particular emphasis on the District of Columbia Tenant Opportunity to Purchase Act (TOPA). Mr. Cannon handles TOPA compliance and litigation, as well as other litigation arising out of the purchase and sale of real property. Mr. Cannon also handles appellate matters for property owners and property management companies.